ChangeTracker was a program, from which the TQAuditor development has begun. We launched it in 2011, and since then got over 11 000 downloads. 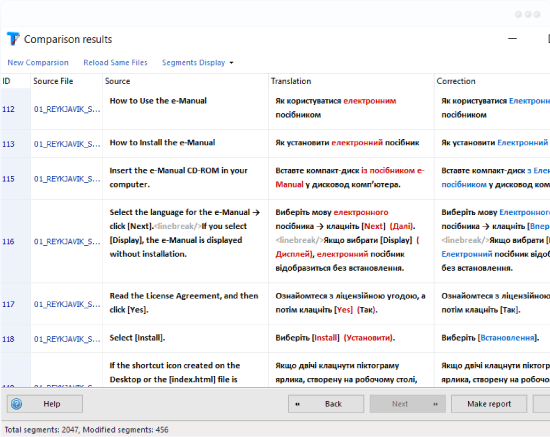 Though we completely stopped its further development and moved to TQAuditor, it is still available for translators to use. We recommend to start using new online TQAuditor system, because it is easier and supports more file formats. However, if you need ChangeTracker you can download it by clicking the button below. This is all easy to do with ChangeTracker!